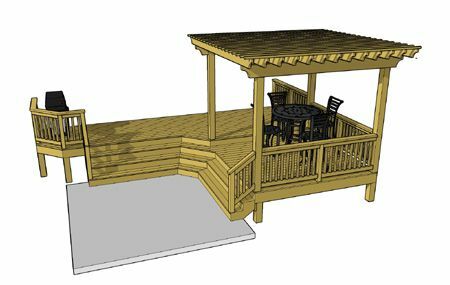 This 2 level L shaped deck composition features an overhead pergola and a unique cascading staircase. The top deck is 24' x 8' and provides a grilling area and access to the house door. 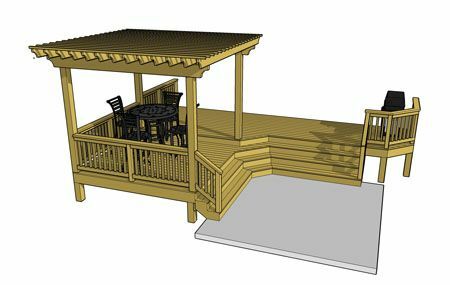 The bottom deck is a 10' x 9'-6" entertaining area which is completely covered by a beautiful pergola. 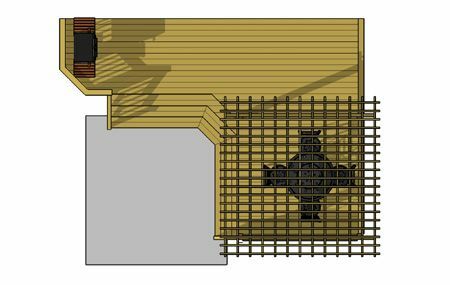 A cascading stair wraps around the inside of both deck levels and provides a perfect opportunity to land on a ground level patio.